When I checked my emails this morning, I spotted a new cache had come out less than 10 miles from home. 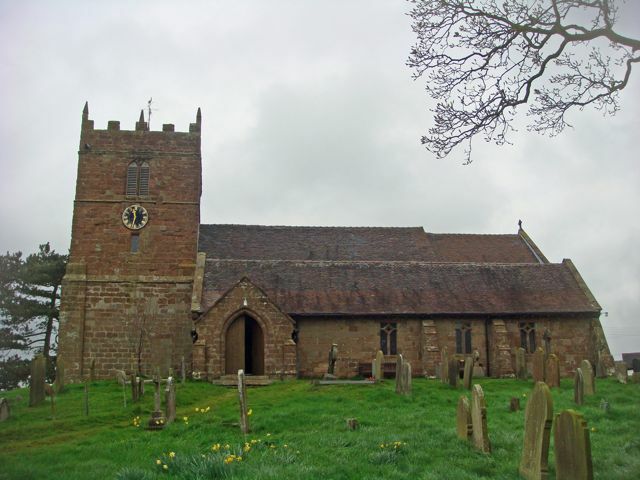 It was by a church that Mrs Bolas Heathens thinks some of her ancestors may be buried at, so we thought we’d combine a caching trip with a good look around the churchyard. We soon arrived at the church but for some reason my Oregon said we were in a field when we were clearly stood in a lane. I think it’s still trying to catch up after the shock of being darn sarf last weekend ;-). It soon settled down and realised the error of it’s ways. Isaac spotted a possible place for the cache, between two houses at what looked like some disused steps up to the churchyard. A quick furtle around revealed the cache – we were FTF! After we’d put the cache back, we went off to find Mrs Bolas Heathens and Freya. They had been exploring the graveyard but had not found any names on the graves that they were looking for. There are a heck of a lot of people with the surname James buried here though! She’s going to do some more research on it and perhaps come back another time for a look as it’s possible her relatives may be in another nearby graveyard.